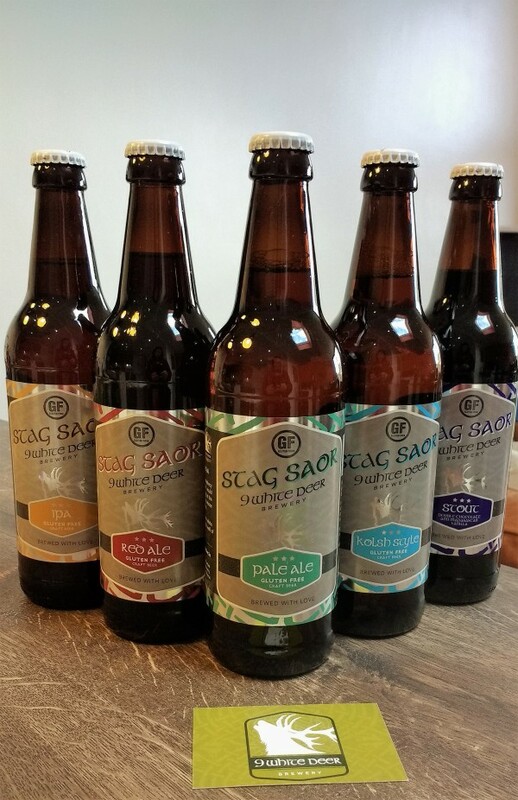 The folks at 9 white deer brewery in Co.Cork were kind enough to send me some samples of their new gluten free range of beer, Stag Saor. Yes, it’s a very hard life eh? Within this range is Ireland’s first gluten free stout and it’s also Europe’s first full range of gluten free craft beers. G’wan the Irish! I invited some friends to try the range with me and they all went down really well, even though I was the only coeliac in the bunch. It’s a good sign when you have genuine craft beer lovers confirming they wouldn’t know there was any difference with this range being gluten free. The stand outs for me were the Stout and the IPA. The stout has really strong chocolate and vanilla notes and is surprisingly light. I would never have been a stout drinker par se prior to being diagnosed but I would definitely buy this again. My other favourite was the IPA which was light, balanced and fruity. You can locate Stag Saor stockists by visiting the brewery’s website.